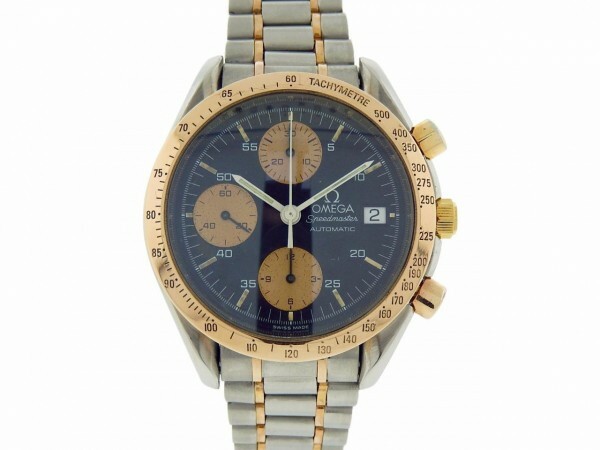 Own this beautiful Omega Speedmaster and enjoy this famous and popular piece. 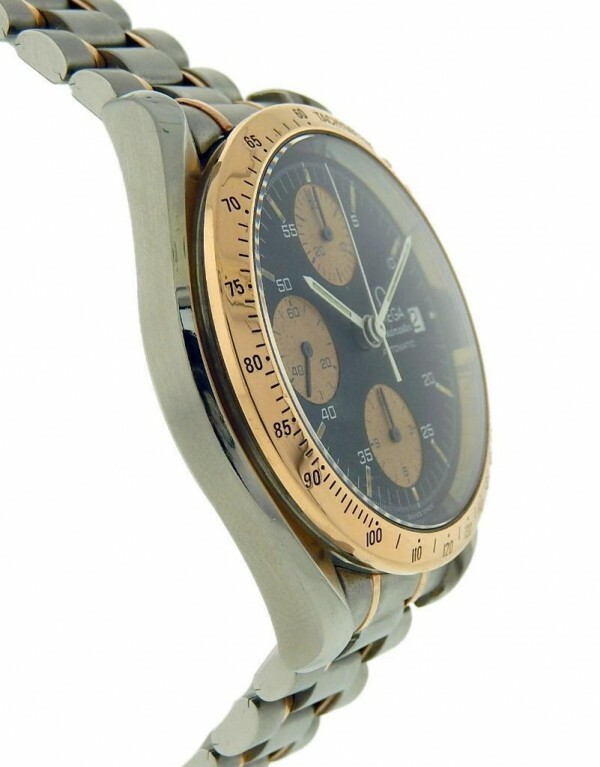 Watch offers you a Steel and Rose Gold finish with Rose Gold Plated Chronograph Buttons. Watch shows regular signs of usage for it is an older watch. The bracelet is really long and will fit up to 8.25 inch wrist. 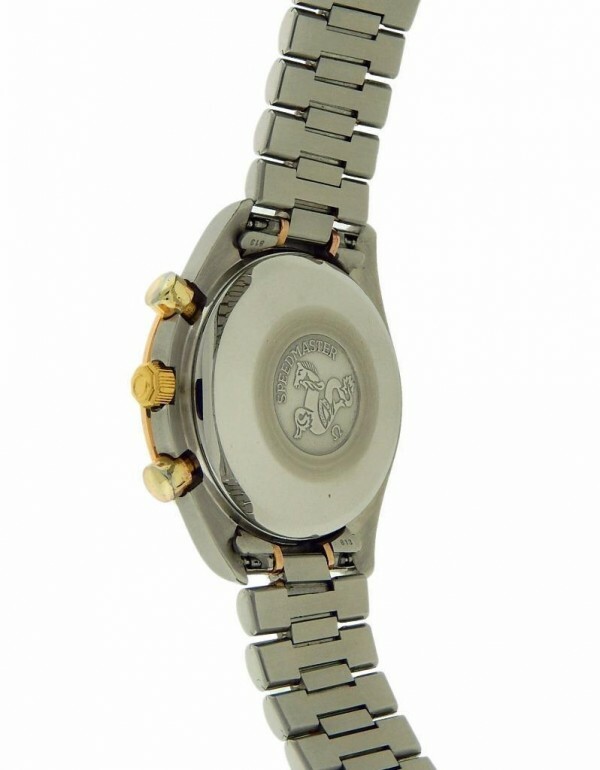 Watch shows spots on the dial (observe picture please). Watch runs really well and makes a great timepiece for everyday. Wear it in great health.